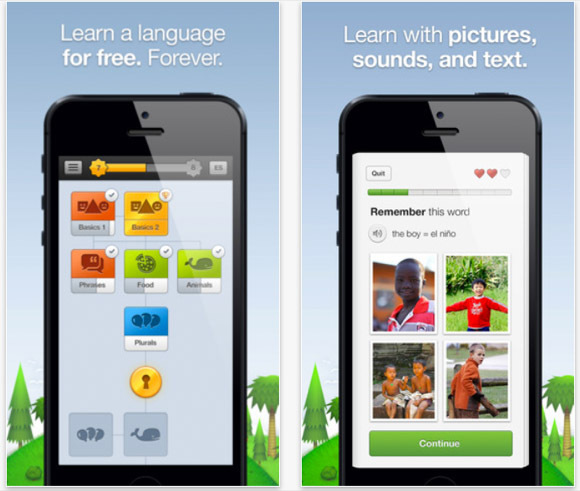 Duolingo is an excellent language app that helps you to learn a number of different languages, all at the convenience of your phone, wherever you happen to have it. Practice your Spanish, French or German on your morning and evening commute or during a stroll in the park, whatever suits you best. Up until now the app has just been available for iPhone and Android users but as of this week, it’s now also available on the Windows Phone app store. The slick windows phone operating system although beautifully designed hasn’t yet reached the same levels of pick up as Android and Apple options. When you’re looking for ways to learn a new language, even if it’s just to be able to carry out very basic translation between friends of family or to help you on holidays or settling into a new home, you want to pick a service that is user friendly and works and Duolingo has a great track record. They were Apple’s app of the year in 2013 and have also won awards from Google and tech news site TechCrunch.